Diabetes is a very common health issue. Throughout the United States there are more than 30 million people living with the disease, though experts estimate that approximately 7 million don’t realize they have it, and have not been diagnosed. The risk for developing diabetes increases with age, and elderly adults are far more likely to develop the condition. 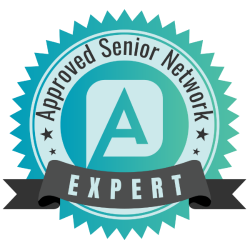 As a family caregiver, knowing that more than 25 percent of the aging population is living with diabetes tells you how important it is to find ways to reduce your senior’s risk, and protect their health. One way you can do this is through healthy eating. Changing their diet to provide the right nutrients, and eliminate potentially dangerous additives, can reduce your parent’s risk for diabetes, and also protect them in the event that diabetes does develop. Focus on whole foods as much as possible. Choose foods as close to their “natural” state as you can, rather than foods that are heavily processed and modified. Think about your parent eating “food” rather than “ingredients”. For example, there is a distinction between a can of soup with multiple preservatives and additives, and a batch of homemade soup with vegetables and broth. Eliminate refined and added sugars wherever possible. Help to control blood sugar by controlling sodium. Focus on healthy fats and cut down on saturated and trans fats. Create the bulk of your parent’s diet from fruits and vegetables, preferably in their raw state as often as possible. Avoid drinking calories and sugars. Many people do not realize just how many calories and how much sugar they are consuming when they drink soda, juice, and other such products. Encourage your parent to drink water throughout the day to stay properly hydrated. When your parent is eating raw vegetables, encourage them to also consume a small amount of healthy fat, such as a small drizzle of olive oil or a piece of avocado, to help the body absorb the fat-soluble vitamins and minerals within the vegetables. There are many ways senior care can help your aging parents reduce their risk for diabetes, and manage the disease if it occurs. One of the most meaningful daily benefits is helping your senior eat a healthy diet. A senior home care provider can help your aging parent eat a healthy diet through several simple steps. Safe and reliable transportation to the grocery store allows your parent to choose the healthy foods they want for their home. 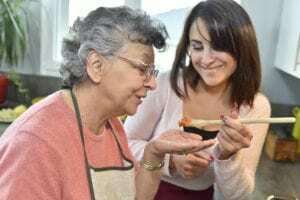 This care provider can also help your parent do research to find meals that fit with their personal preferences while also matching dietary restrictions, then help them prepare these meals and snacks. Encouraging your senior to drink more water, avoid convenience foods and pre-packaged foods that can be unhealthy for them, and providing reminders of their dietary restrictions from their doctors can help your parent to make changes and sustain them to keep them healthier. If you or an aging loved one are considering senior care in Evanston, IL, contact the caring staff at Companion Services of America today at (847) 943-3786. Our home care service area includes Northbrook, Highland Park, Deerfield, Glenview, Buffalo Grove, Evanston, Des Plaines, Skokie, Lake Forest, Wilmette and the surrounding areas.